Tell us about your day job: I am a specialist natural history conservator, working for a museums service and my own business. In both, I provide conservation services to the heritage and private sector. This is mainly in the North West – everywhere from Cumbria or to Cheshire, but my work has taken me all over the country which means I get to visit lots of new collections. My role covers all scope of natural history collections but I specialise in bone, fluid preserved collections and taxidermy. My work is incredibly varied; as well as a conservator I am a preparator – preparing bone, skins, taxidermy and fluid preserved material. I can spend 200 hours plus conserving a single specimen, or carry out a whole collection survey in 72 hours! I also provide training to institutions in natural history collections care. Natural science collections are very popular with visitors. Why do you think this is? Overall, I think it is about innate curiosity – the natural world is deeply fascinating and diverse. The reason natural history collections are popular with children is they are still in that stage of uninhibited curiosity. Our interest and relationship to natural history collections has changed and evolved over time, but I have also observed that some of those traditional links with natural history collections are being revived. I think hobbyist specimen collecting and preparing is having a resurgence; there are more curiosity shops and natural history dealerships popping up; and natural history has been all over interior design for years now. It is very evident that we are in a taxidermy popularity peak at the moment, unfortunately it’s for reasons I don’t much like – the morbid factor. Isn’t it fashionable to be macabre! This very much celebrates badly crafted and poorly preserved specimens (very Victoriana). On the other hand, this is an engaged audience whom we can positively interest in our collections. What do you think are the biggest challenges facing natural science collections right now? I think everyone in the community would agree that the loss of specialist knowledge and skills is really concerning. I am particularly concerned that these are also undervalued. We are continually having the conversation about whether we need them, and I think “specialists” within the museum community can often be characterised as inflexible, uncompromising and routed in “old-fashioned” practice when it comes to the use of our collections. This is an erroneous stereotype. Natural history collections, more so than any other, have to progress with research and science so not to become redundant. With natural history conservation, these risks to skills are further magnified. There are very few specialists nowadays, and little appreciation of how vital the skills involved are. In many museum roles, we all find ourselves asked to take on more, this may sometimes manifest itself in untrained staff taking on conservation work on natural history collections. This would never be considered acceptable on oil paintings, so why should it be acceptable on other materials! Even within the conservation sector the specialist role can be overlooked. We need to stand firm on our position on the need for specialist skills, and demand that our specialists are utilised in the work with our collections, and in training. What would be your career in an alternate universe without museums? I never wanted a 9-5 job or a desk job. I studied in human anatomy, and rather fancy myself as a forensic pathologist. I also wanted to pursue my art and anatomical illustration. In many ways, my current career is a good mix of all those things. What is your favourite museum, and why? I have a soft spot for the place I started my career as a volunteer, the Victoria Gallery and Museum at the University of Liverpool. It is worth visiting alone just to see the incredible Waterhouse architecture and glazed tile interior. 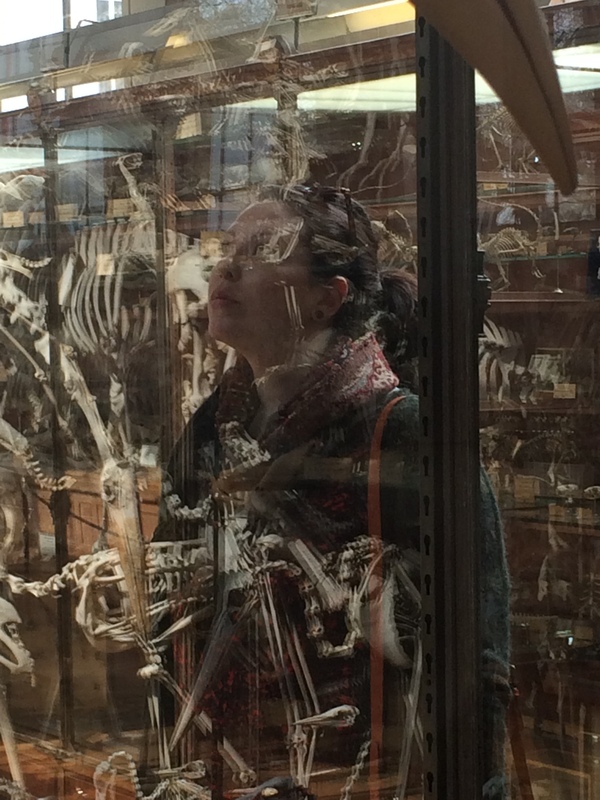 My favourite natural history collection is the Galerie de Paléontologie et d’anatomie comparée in Paris, but the top spot has to go to the People’s History Museum in Manchester – sometimes it’s good to have a break from natural history. It’s invigorating to visit a museum that challenges you and inspires change. Written by Lucie Mascord, Conservator of Natural History, and NatSCA Committee Member.